I want to wish all of my Blog readers a Very Merry Christmas and a Happy New Year. It has been an exciting year for Claire Hurd Design with lots more planned for 2011. 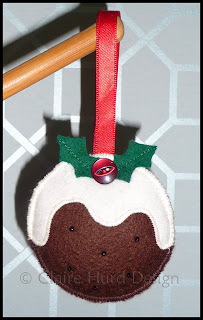 It has been wonderful to be able to share my goings on with you all and I look forward to blogging even more next year. All of your custom, support and comments have meant the world to me and have helped Claire Hurd Design become what it is today as I sign off and put my little business to bed until the 5th of January. Thank you so much for everything and have a wonderful happy, healthy, family holiday. Congratulations Helen, I hope Father Christmas brings you the craft supplies you have wished for! 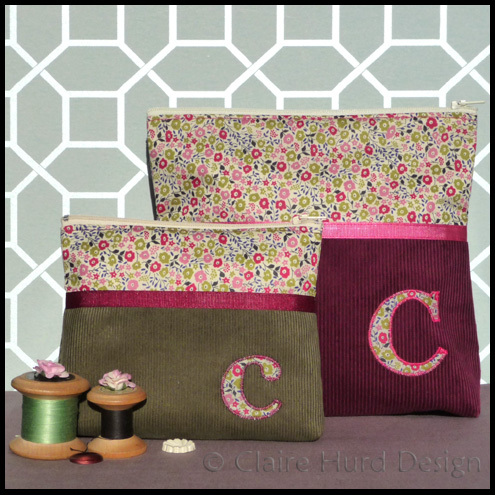 If you could send me your address to studio@clairehurd.co.uk I shall put your goodies in the post for you. Thank you to everyone who entered, both here and on my Facebook page. You left some lovely comments. The overwhelming wish was for families and friends to be together this Christmas. There were a couple of entrants with poorly family members so I wish them a speedy recovery and hope they have a fit and healthy festive period. Unfortunately Facebook are no longer allowing competitions to take place on business pages. I am therefore transferring my competition to my blog. All existing entries will be included and anyone else wishing to take part can leave me a comment below this post. Simply tell me what is at the top of your Christmas wishlist this year. Competition closes at 5pm tomorrow (Monday 6th December) - good luck! 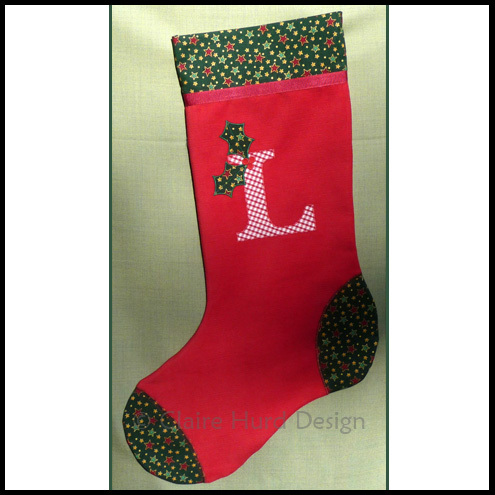 I am having a Christmas giveaway on Facebook. 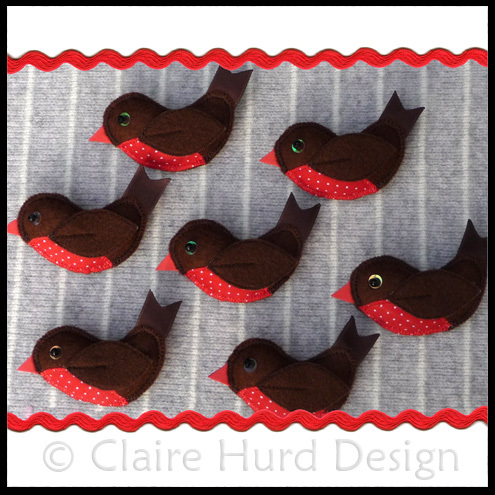 Pop over to the Claire Hurd Design page to join in. All you need to do to win the handmade Christmas goodies below is leave a comment under the giveaway post telling me what is at the top of your Christmas wish list this year. A winner will be selected at random next Monday. I look forward to hearing your Christmas wishes, good luck! 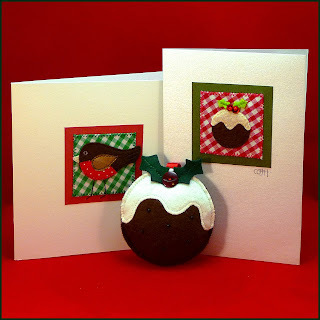 Framed Artwork Commissions and a Cake! 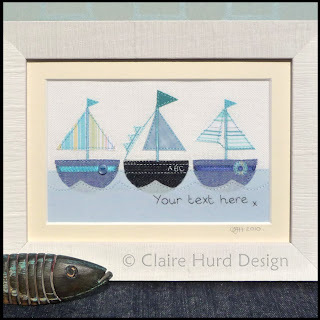 I have just had some lovely feedback regarding a framed artwork commission I did earlier this month so it is now safe to share it with you without spoiling any birthday surprises. 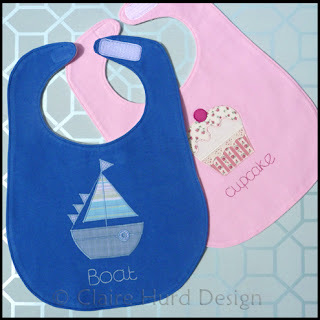 I was asked to produce a customised version of my Boating Artwork to sit alongside a customised version of my Afternoon Tea Artwork that I was commissioned to do earlier this year. Both artworks were to celebrate 60th birthdays. 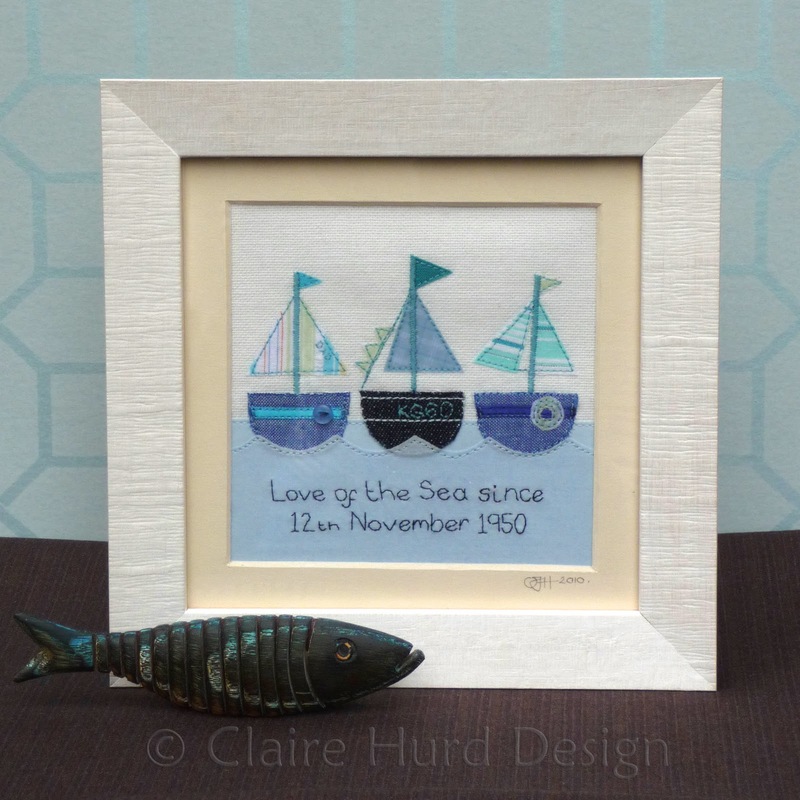 It is always so lovely to be asked to produce gifts for such special occasions. 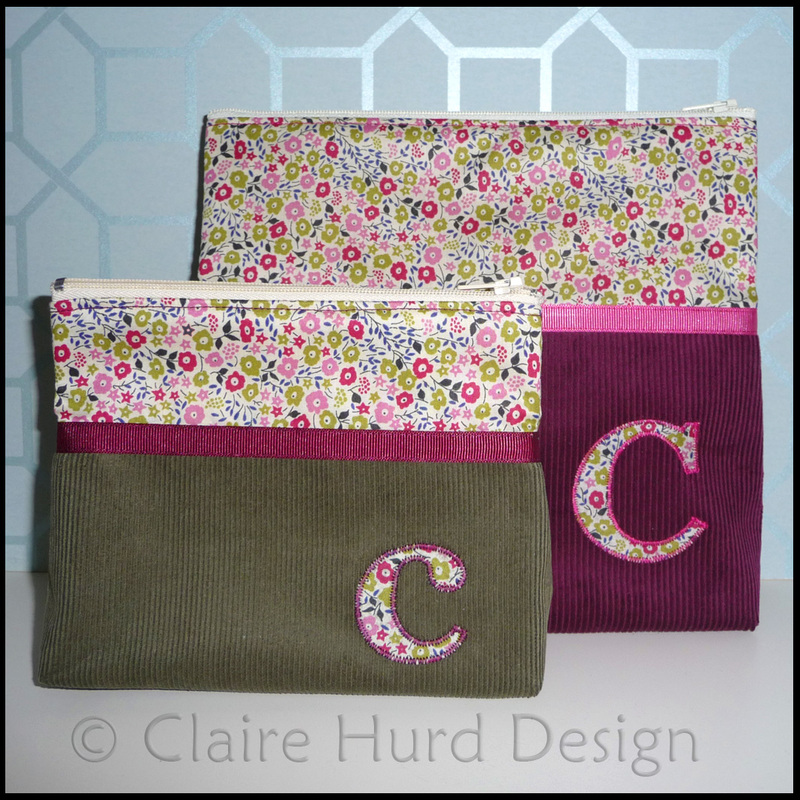 If you would like to order one of my personalised items or would like one of my products customised to suit you then please email me at studio@clairehurd.co.uk. A real chocolate feast! 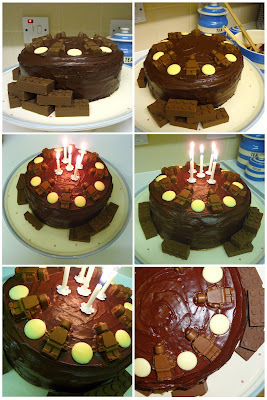 A true 'boy' cake with homemade chocolate Lego men and Lego bricks. I really enjoyed making this. My next cakey makes will be cupcakes so a bit easier to ice! I had a lovely day on Saturday selling at the Winchester Handm@de Christmas craft fair. The fair took place in the Guildhall which has been refurbished since we were last there in the summer and is now looking great, much more light than before. 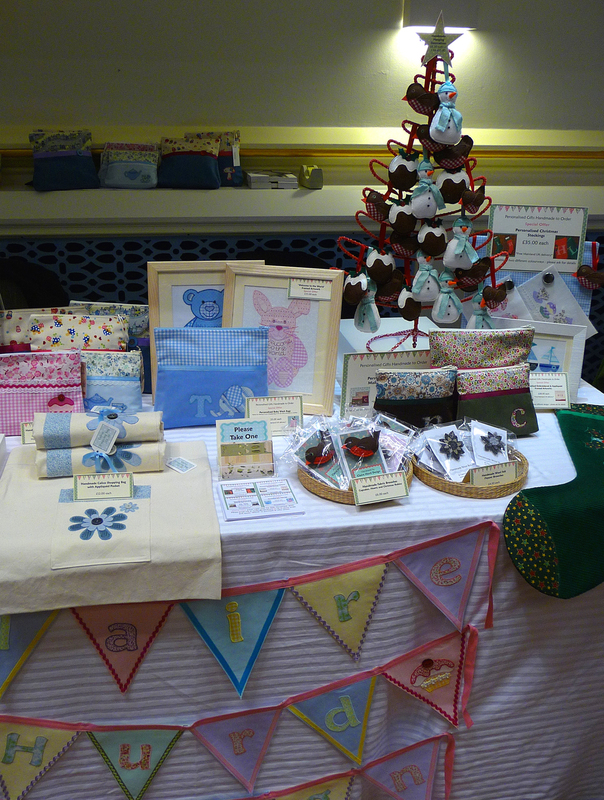 My products sold well and it was lovely to have a chance to meet my customers face-to-face and get their feedback. It is so nice when people have the time to stop and chat. People had such lovely things to say about my work and were so encouraging about where I am heading with 'Claire Hurd Design'. Most of all people admired the quality of my work which I was really pleased about. It is so important to me that everything I produce is manufactured to the highest standard. I want to show with my products that 'handmade' means made with love, care and attention to detail; making it stand out from mass-produced goods. 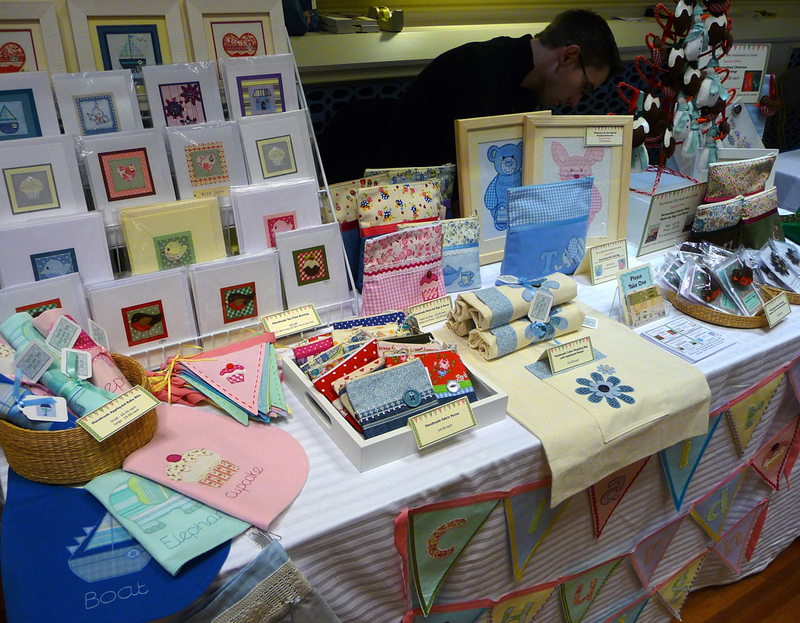 As is always the case with the Handm@de craft fairs the other stall holders were all really friendly and there were some beautiful products for sale. In particular it was really lovely to catch up with Meninafeliz again. 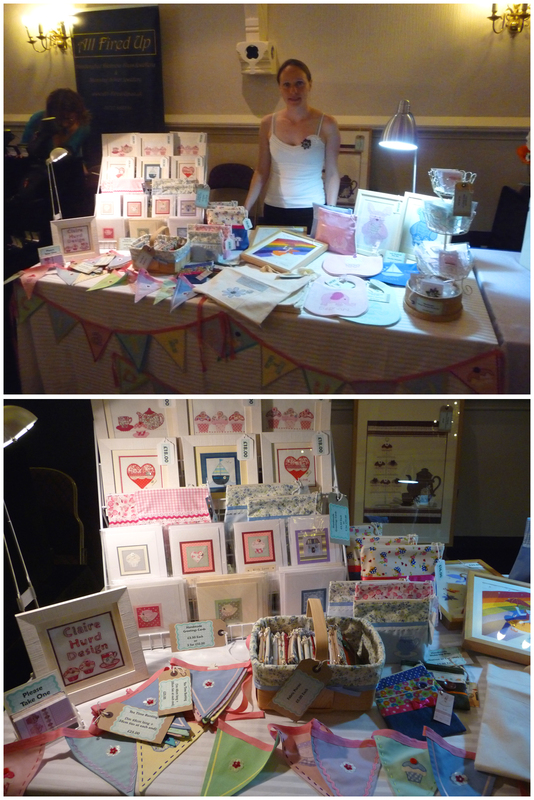 I first met Meninafeliz before I had taken part in any craft fairs and when I was still new to online selling. They have always been so friendly and encouraging and full of advice. We had such a lovely catch up and I was even treated to one of their lovely products (I won't know what until Christmas day!) by my Husband. Take a look at their beautiful work HERE. My neighbours at this fair were the lovely 'Quercus Silver' and 'Jude Allman'. It makes such a difference at craft fairs when you are positioned with people that are producing beautiful that captures your interest and that are nice and friendly! Quercus Silver were selling silver and resin handmade jewellery and Jude Allman was selling beautiful ceramic pots, buttons and decorations. Do check out their work as I am sure you will love it as much as I do. Quercus Silver can be found HERE and Jude Allman HERE. My handmade Christmas decorations are now available to purchase as a mixed set of three; consisting of one Christmas robin, one Christmas pudding and one Snowman. I am rather late with these this year, many apologies. Thank you to all of those that have enquired about these and placed your orders already. 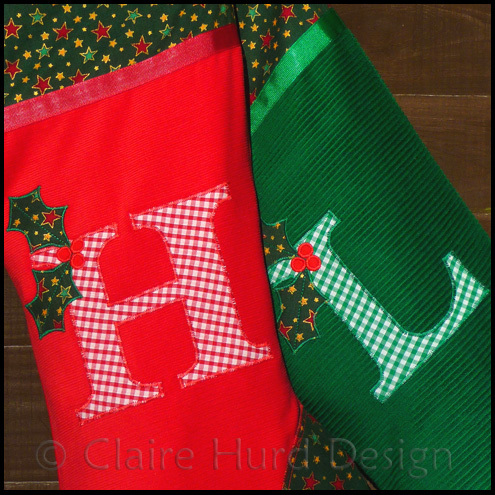 My handmade personalised Christmas stockings are now available to purchase from my Folksy shop! A generously sized handmade Christmas stocking personalised just for you. 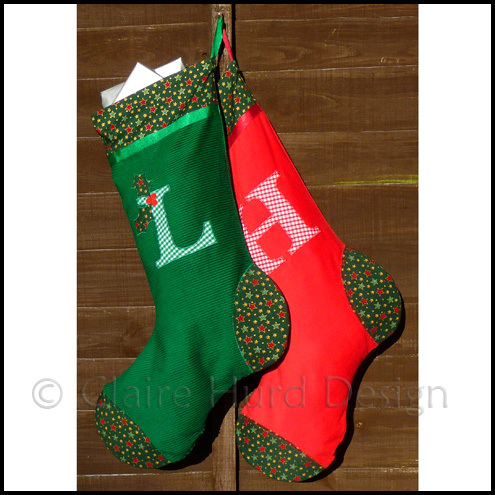 These bright and festive Christmas stockings are handmade to order making them a truly special gift that can be treasured forever. 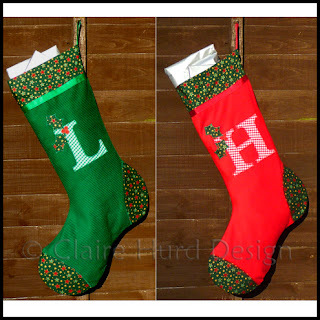 This Christmas stocking measures approx. 59cm tall, 37cm from heel to toe and 22cm across at the opening. The hanging loop measures approx. 9cm and is stitched downwards inside the stocking hiding it from view when not in use. I really hate to give up on a project or throw anything away. 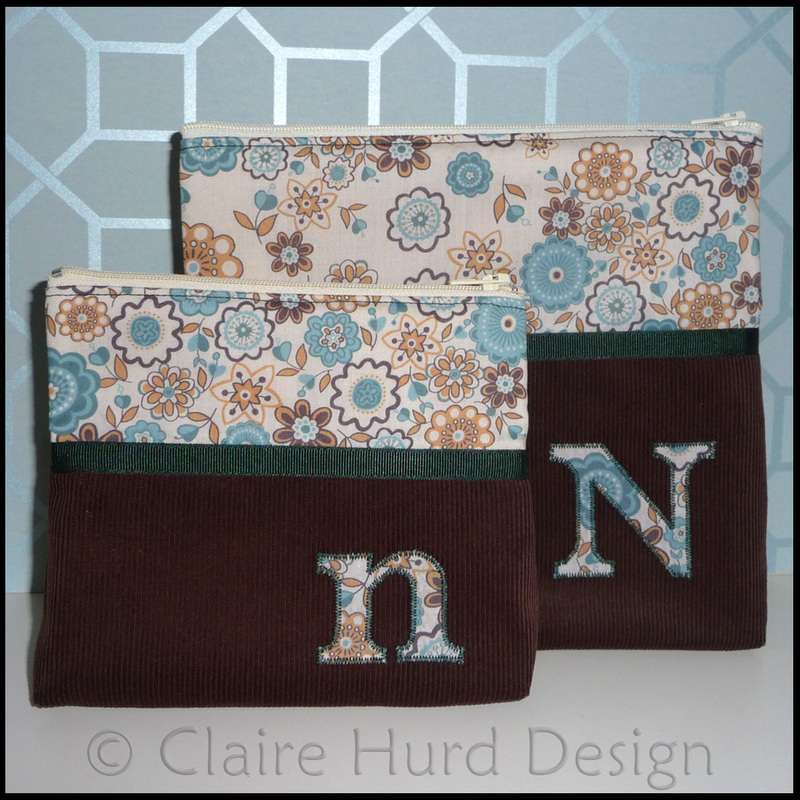 This has resulted in many half-finished projects and test samples for new designs around my studio. I recently came across the Robin test sample I made for my Christmas decorations last year. This first sample really didn't work, it was much too small, tiny even. Tiny but very cute! So, I have tweaked it slightly and turned my rejected sample in to a cute little Christmas Robin brooch to wear at my upcoming Craft Fair (Winchester Guildhall, Saturday 13th November, 11am-5pm!). I was so pleased with the results that I have created templates for the design and am producing it for sale in my online shops. This cute little fellow has a bead and sequin eye, a foam beak and a lined felt wing. He has been lightly stuffed and the wing has been secured half-way so it stands proud. The brooch is fastened on the reverse with a silver-coloured brooch bar with safety catch. The robin measures approx. 8cm from tip of beak to tip of tail and approx 4cm tall. 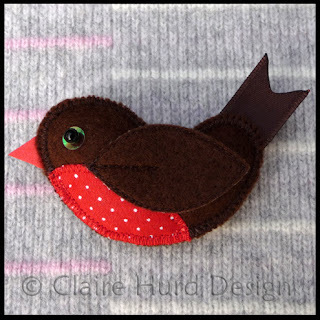 This festive little bird would be a great addition to a Christmas outfit or snug Wintery coat and can be purchased from my Folksy shop or my NOTHS shop. 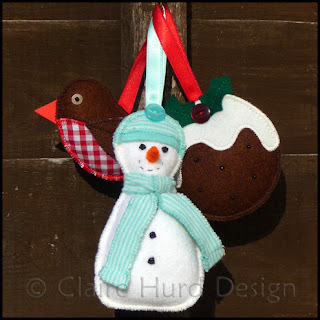 Things are really busy here at Claire Hurd Design at the moment. 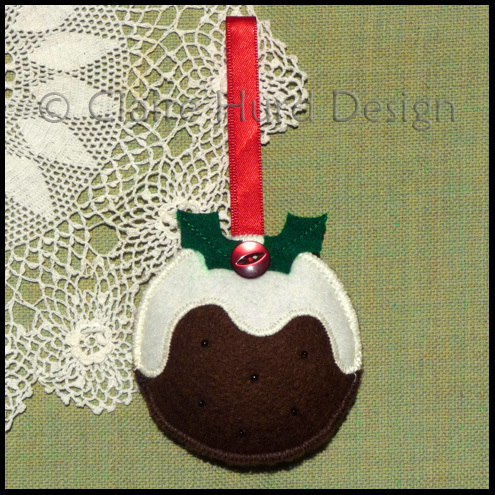 Online orders are gaining a festive momentum, private commissions are flooding in and I am preparing stock for the Handm@de Craft Fair at Winchester Guildhall on Saturday 13th November. 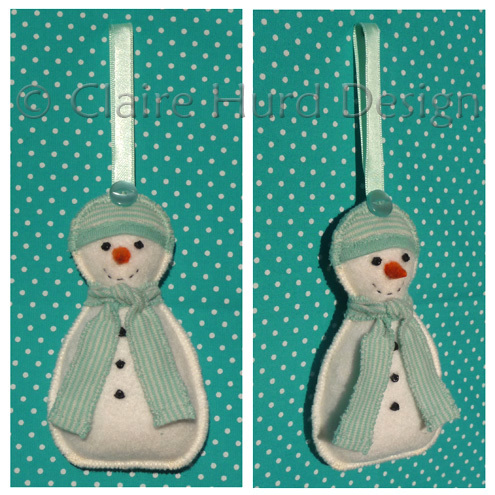 With Christmas in mind I have made a new decoration - a Christmas Snowman. 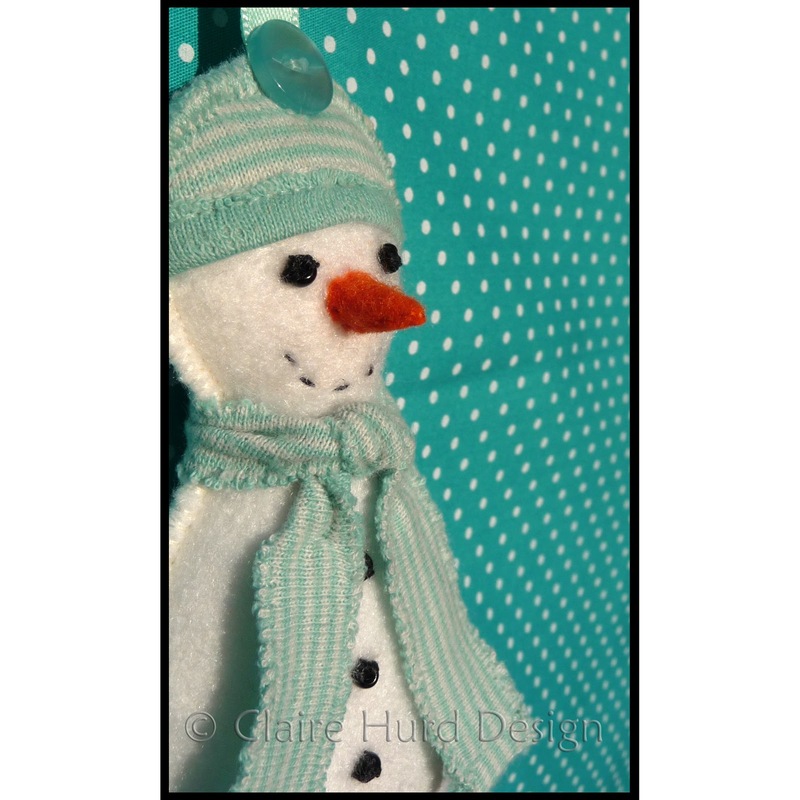 I am pleased with this one - I think he looks rather cute! He is now available to buy in my online shops. My online shops will now be closed until the beginning of October in preparation for my new season collection launch. I shall be taking a break from blogging too and look forward to sharing lots of news and inspiration with you when I am back. The sun has finally come out and I have managed to take photographs of my new Handmade Personalised Boating Artwork. I am relaunching my design from last year in a new larger size with more space for text (personalisation now available with up to 30 characters). 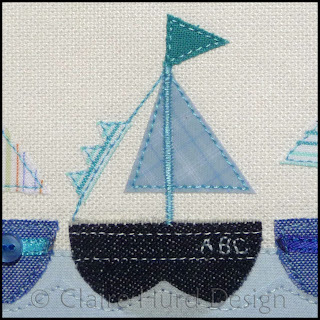 The centre boat can also be personalised with three initials of your choice. 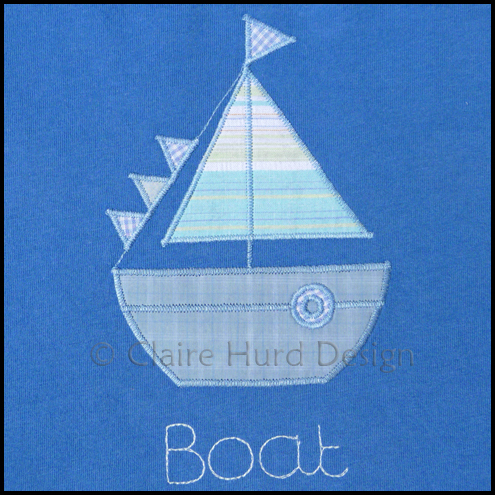 This artwork would make the perfect gift for a new born baby boy, for boat lovers of all ages and would be ideal as a Father's Day gift. For more details please visit my shop. Yep, it has definitely been busy round here! Gosh, things really have been busy here at Claire Hurd Design these last few weeks. And as if I needed proof, look how many cotton reels I have got through recently! I have been collecting them so I can make chunky necklaces with my little Niece. They really do serve as a good indicator of exactly how much sewing I have been doing. I am a little torn at the moment. 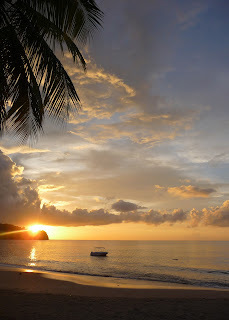 I have so much I want to share with you but also so many surprises that I cannot spoil by revealing things too early. I want to keep you all updated straight away with what I am working on but am just going to have to be patient. 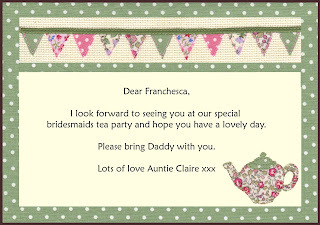 Alongside my design work I have also been creating lots of handmade details for our wedding. 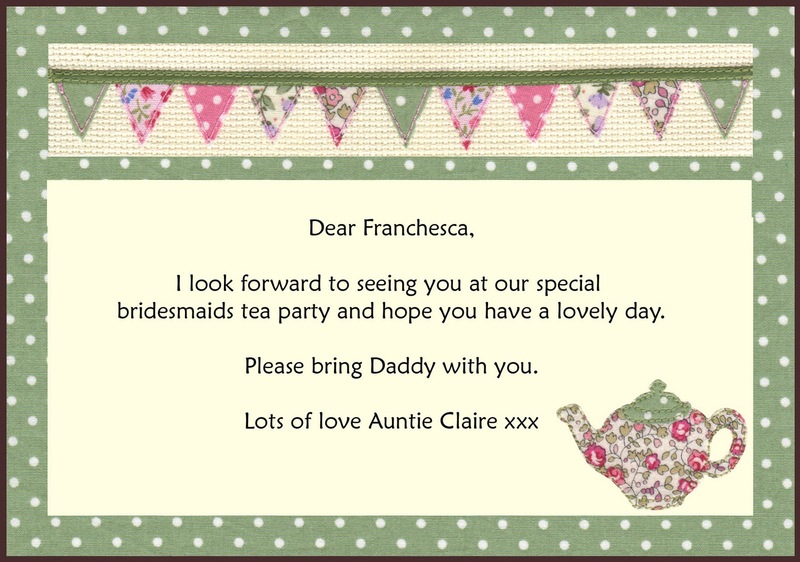 Again, I have really had to restrain myself from posting everything straight away but I do want these details to be a surprise for my family and friends on the day so they will have to wait. I shall be busy relaunching some of my most popular items and doing some work on my shops soon so once that is all done I shall schedule a series of wedding posts for you (currently pencilled in for the first week in October when I can really spend time picking the best images). I have finally finished my little bridesmaids' handmade silk roses! 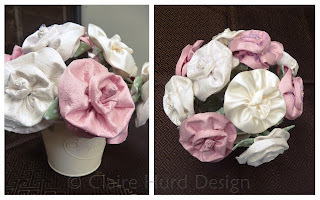 They are a combination of ivory silk, dusky pink silk and ivory satin (matching the little bridesmaids' dresses). They all have tiny bead detail and half of the roses have fine netting detail layered in and half have been left plain. I am certainly glad to finally have these finished! I am pleased to announce that my online shops have re-opened and I am ready to begin making again. Thank you for your patience whilst I recovered from my operation. 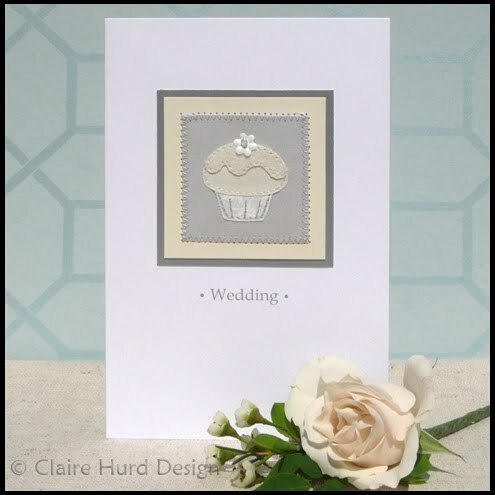 I am also pleased to let you know that my wedding cupcake card is featured on page 22 of the UK Handmade Wedding Gift Guide. Do take a look at the guide as there are some really lovely handmade products featured. 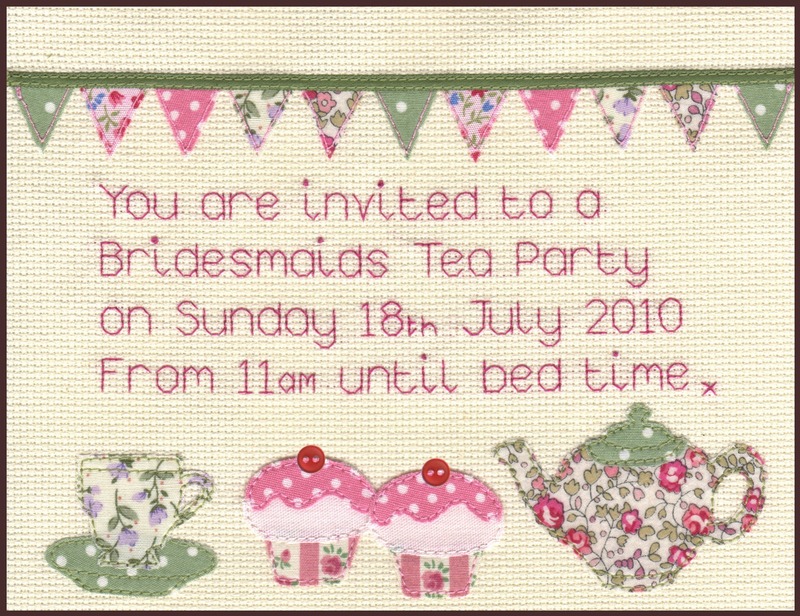 A 'Papered Parlour' Hen Party! Thank you to all of those that sent me get-well-wishes both prior to and following my operation. I am healing well and despite not quite having all of the feeling back in my hand yet hope to be well recovered by the time I have my stitches removed on the 12th. I can't wait to get full use of my hand back! 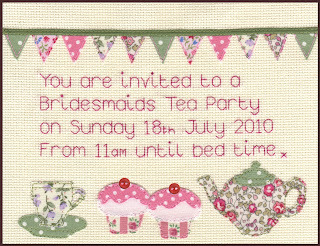 I have been feeling rather poorly following the anaesthetic so what better distraction than a 'Papered Parlour' Hen Party! My wonderful bridesmaid Sophie organised a great day for me and my friends screen printing calico bags at 'The Papered Parlour' in Clapham, London. We had such a great time and it was lovely to see everyone enjoying creating their own designs and doing their own printing. We were looked after by Helen who was a great teacher getting us quickly familiar with the printing process. 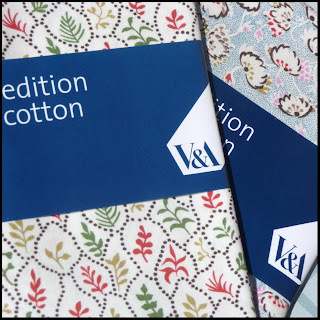 She guided us with hints and tips for motifs and colours as we used the books provided for design inspiration and oversaw our printing giving a helping hand where needed. Everyone got the hang of the printing quickly and did a great job. The photo above shows Helen and my friend Clare kindly printing my bag for me. I would like to say an extra big thank you to Helen for making sure I had a beautifully printed bag, something that I couldn't do myself with my hand still healing. 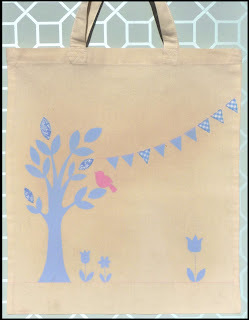 Here are our finished bags! Aren't they great, I love how different they all are. Each so personal to the maker. After all of our hard work we were rewarded with some very delicious tea and cakes in the beautifully decorated parlour. I had the perfect crafty hen party so a big thank you to Sophie for organising it and for all of the lovely personal touches she added to the day. Many thanks also to Claire, Louise and Helen at 'The Papered Parlour' who were so friendly and helpful and made our day truly enjoyable. I cannot recommend them highly enough and urge you to check out their website for details of all of their other classes and parties. 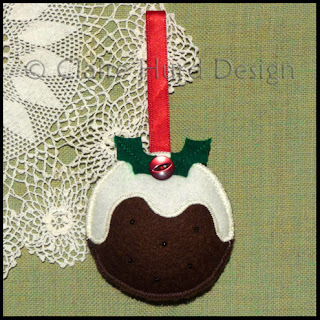 I am having to take a short break from making as I am due to have surgery on my hand (thankfully my left hand!) at the beginning of next week. 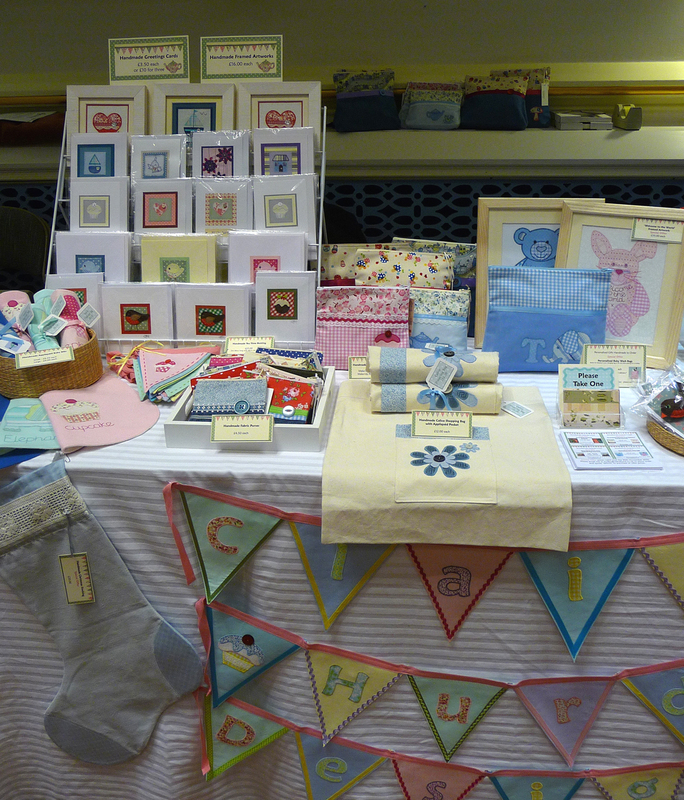 I shall be closing all of my online shops on Sunday night so if you would like to place an order please do so ASAP. 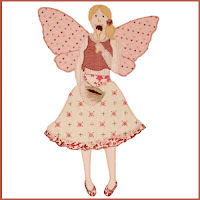 I hope to be opening my shops again after a week or so, I will see how well I recover and keep you posted. I plan to catch up with my blogging whilst I recover and will be doing some one-handed posting for you (!) 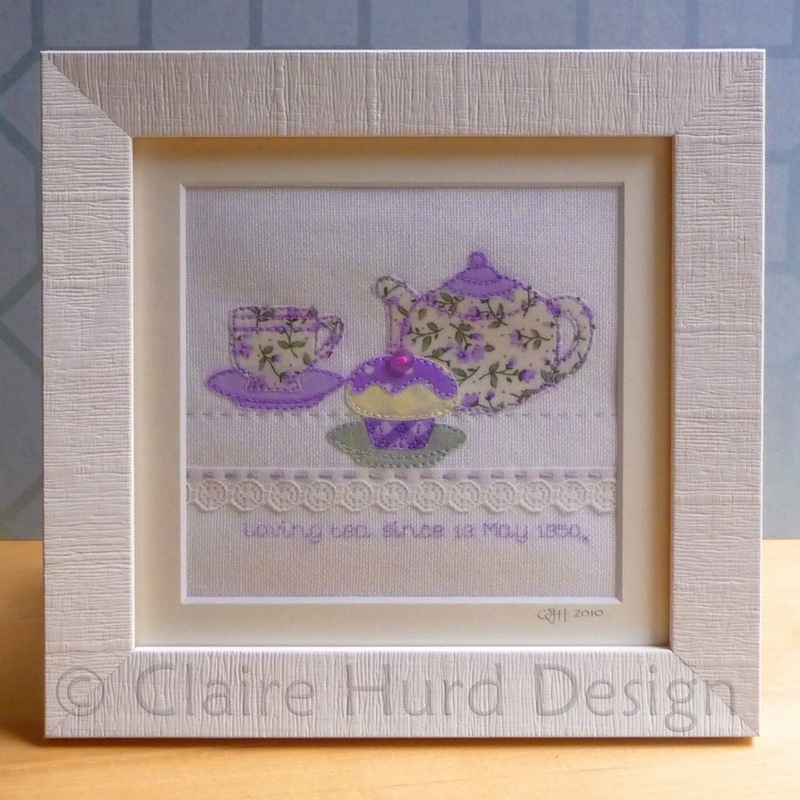 and hope to create some lovely inspiring treasuries. This will give me a chance to continue being creative whilst I am waiting to get back to making. A Quick Catch Up and an Exciting New Customer! I have not been very good at blogging lately, sorry. I have been so busy designing and making but the end is in sight and I look forward to having a bit more time for wedding makes and online shop revamps very soon. One thing that was keeping me busy was preparing for a big meeting in London. 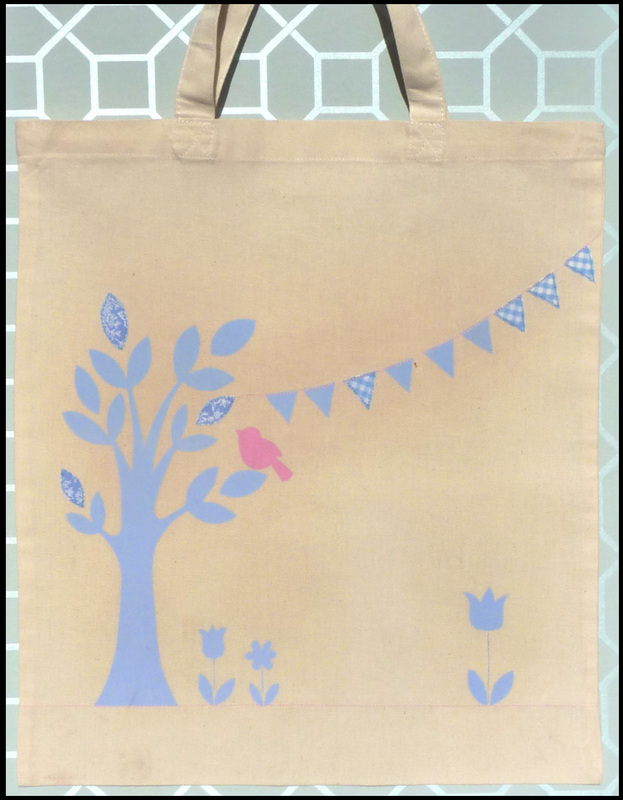 All of the hard work was worth it and I am pleased to say that Jane Churchill have purchased some of my design work for their Nursery Collection. I can't wait to see how they develop my artwork to become part of their range. It is really exciting to be working with such a wonderful brand. I look forward to making use of them all. I shall have to think of something really special to make with them. 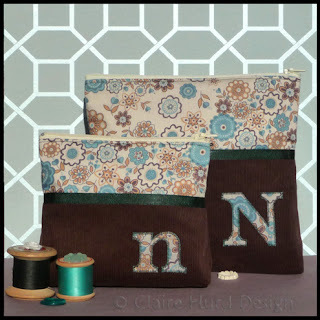 I have always wanted to make a patchwork quilt with fabrics and embroidered and appliquéd pieces that bring back happy memories. Perhaps having visited this inspiring exhibition is my prompt to make a start. I have a few customer meetings this week too so am busy working towards those at the moment. 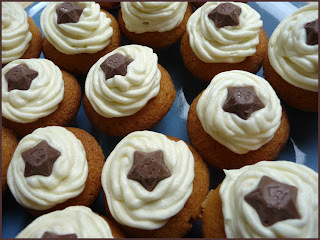 Whilst I am here I also wanted to point you in the direction of the delicious blog 'Cakes I Create'. They recently featured my Cupcake Wedding Card in amongst all of their tasty looking cakes and recipes. 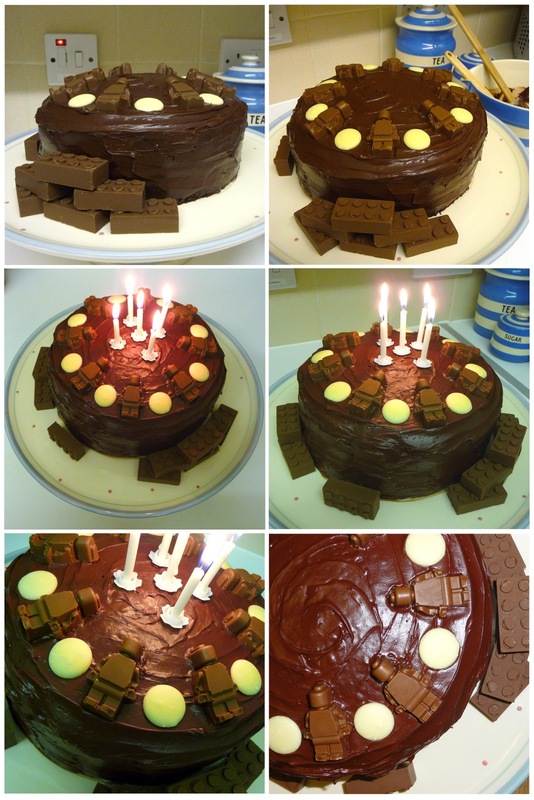 Thank you for featuring me 'Cakes I Create'! 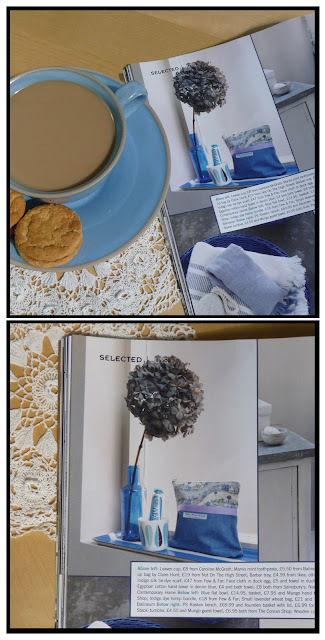 Claire Hurd Design in 'Kitchens, Bedrooms & Bathrooms' Magazine! I am really excited to share these pictures with you today. 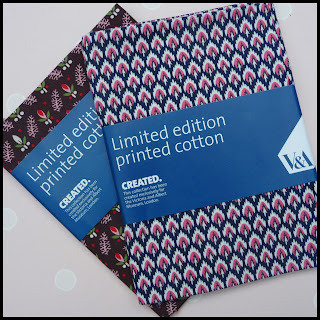 I was approached by 'Kitchens, Bedrooms and Bathrooms' Magazine a short while ago asking for one of my Liberty Print Make-Up Bags. They were putting together a feature on denim entitled 'All in the Jeans' and wanted to include my make-up bag, of course I jumped at the chance! The feature is in the August edition of the magazine, available to buy now. And here is my make-up bag on page 34! My handmade personalised elephant baby bibs have proven to be very popular so I have added a new boys design and made my cupcake bib personalisable too. These bibs can be found in my online shop HERE. I have also listed two one-off appliquéd and embroidered textile artworks in my NOTHS shop. There is only one of each artwork available making them a truly unique gift to welcome a new baby in to the world. I am offering these artworks to my Blog followers and Facebook fans at a 15% discount (with free P&P). Payment needs to be by paypal. 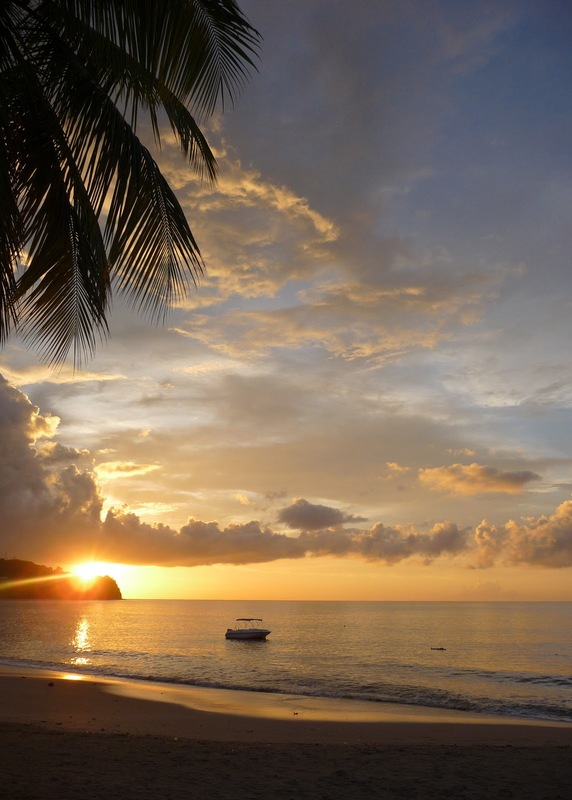 As there is only one of each artwork available they are offered to you on a first-come-first-served basis. If you would like one of these artworks then please email me at studio@clairehurd.co.uk. For full details on these artworks click HERE for the baby blue bear and HERE for the baby pink bunny. The Handm@de Winchester Summer Craft Fair took place on Sunday and it was my first time having a stand there. The guildhall in Winchester is a lovely venue but rather dark so I apologise for the quality of my photographs. The organisers did a great job of getting people through the door and the fair was significantly more busy than the Cambridge fair I was at last November. If you are visiting my blog for the first time having picked up my business card at the fair a big welcome to you! 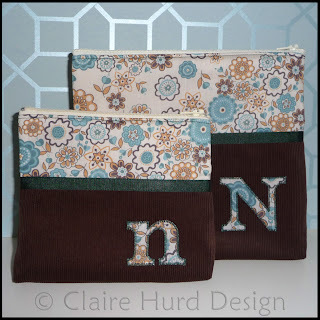 I hope you enjoy reading about all of my crafty goings on. Thank you to all of those that showed an interest in commissioning personalised items. Do have a browse around my blog and my online shops to see my full range and contact me on studio@clairehurd.co.uk for more details. 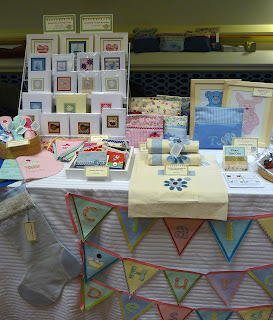 As always at the Handm@de fairs it was great to meet the other sellers and share experiences and advice with eachother. 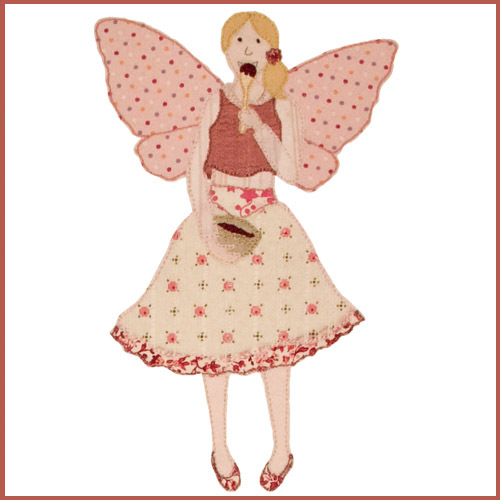 A special hello to the lovely Louise of Lolly & Boo who I met for the first time and had a lovely long converstation with about selling on Not on the Highstreet. Also a big hello to Cath of Emerald Framing who is a familiar face at the Handm@de fairs and always full of encouragement and smiles. It was great to see you again Cath!